Back in 2006, big up all !kaboogie crew! 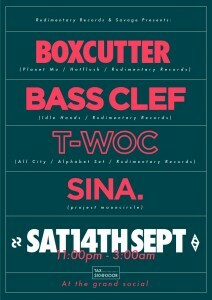 Hefty lineup from the Rudimentary boyos this weekend. Richie !Kaboogie and mynameisjohn, as well as the sublime (yes I used that word) Touchy Subject. The lads already hooked up to create this mix and have a chat in Rudimentary-curated Mix Exchange. Two serious production talents well worth checking out, and solid DJs both. Event page is over here. First !Kaboogie gig since the summer and it’s a feckin whopper! Three unreal acts lined up that we’re delighted to host. 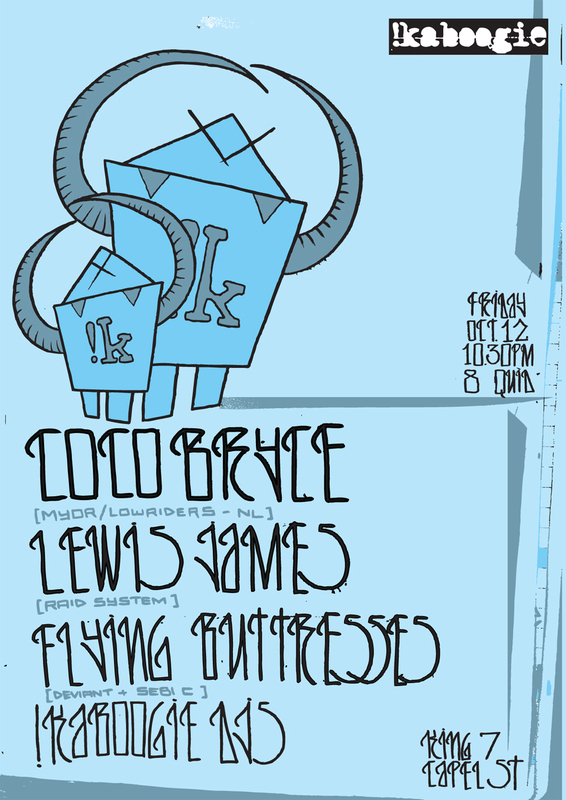 First up we got Flying Buttresses, which combines the beats and turntables of Deviant & Naive Ted along with the vocal dexterities of MC Sebi C (they just dropped their Orson Welles EP which I mentioned here). Lewis James is making a bit of a homecoming gig here as well. Been following this guy the last while (he used to go under the moniker Uncle Lew), and one of the highlights from him has to be the set he played at Community Skratch Games In Galway this year which you can grab here from the good peeps at Rythym Incursions. 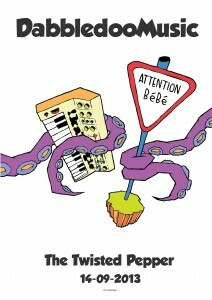 Keep an eye on his Soundcloud page for details of releases an ting. Get it into ye. Finally, someone we’ve been trying to get over the last few months, Coco Bryce. Man, I love this lads music (mainly from hearin this tune – the sorta music to makes ye feel like a BAWWWS even if yr peeling parsnips), loads of it here to check out too. Get yr low end swagger back from the cleaners for this wan. Support from the unstoppable bass machine that is/are the !Kaboogie DJs. 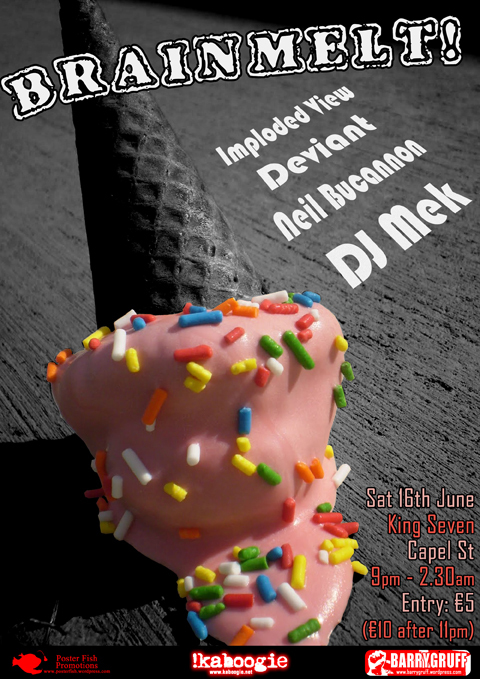 King 7, Capel St., 8 squids, kickin off at 10.30 but get down early cos it’ll be gettin heavy from early yeahhhhh? 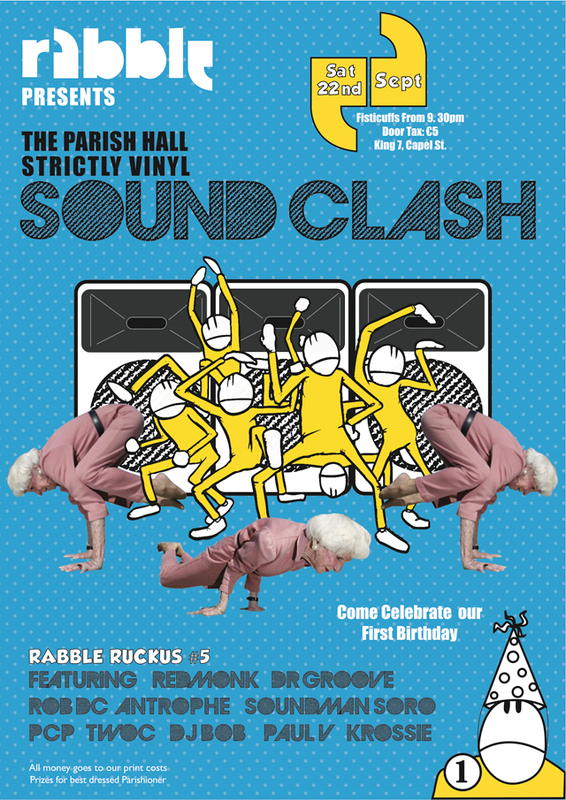 !Kaboogie Soundsystem tomorrow night at Junior Spesh! 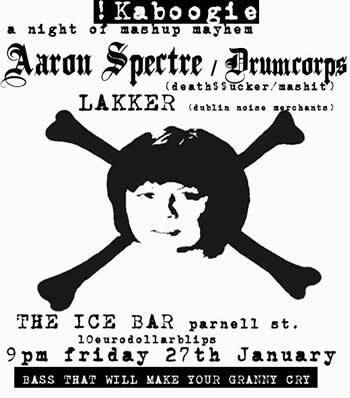 Big tings tomorrow night at Junior Spesh. 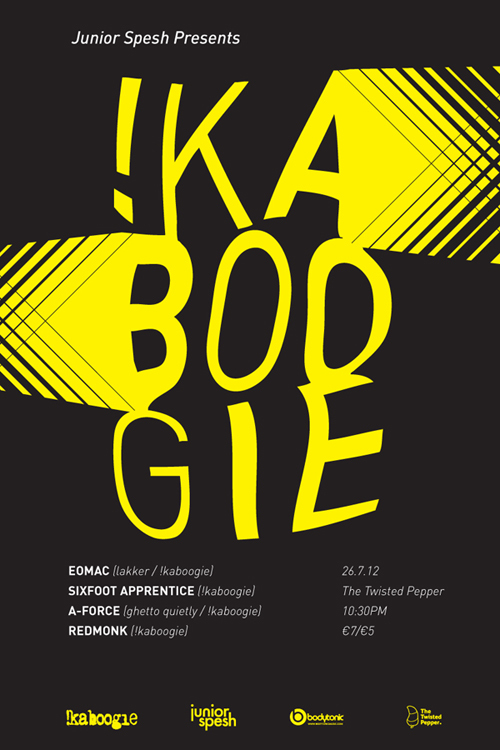 Eomac, A-Force, Sixfoot Apprentice an me are gonna be rinsin it out in the Twisted Pepper – expect a bass-heavy selection of hip hop, grime, electro, turkish psych, disaster funk and experimental trousers. THE FUN WILL BE HAD, MIGHT I ADD. Looking forward to this! Hefty lineup that’s been marinating in bass juice, much like those chops you planned on BBQing cept they’re in the fridge while ye look out at the rain. 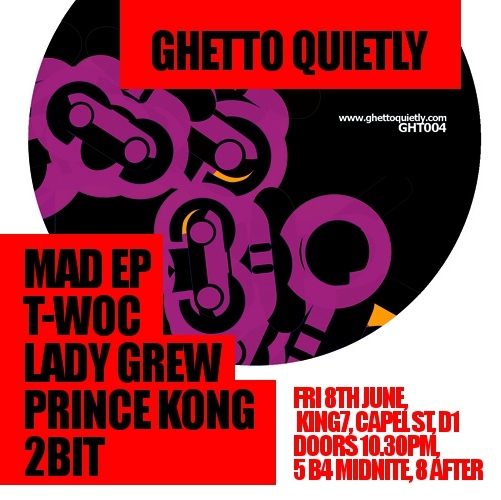 Take a leaf from the chops’ book and swing by King 7 to COOL DOWN SOME TO THE VIBES, nahmean? WORD has it that the mighty SWARM INTELLIGENCE has been added to the bill. I’m half thinking of making another food pun here but I’ll spare thee. See yis front left speaker later!